Oh Frabjous Day! Callooh! Callay! they chortled in their joy! The political class seems intoxicated with having finally, excruciatingly, achieved cross-party consensus on regulating the press. Everyone, it appears, is a winner. Dave has gambled – with losing a vote in the House of Commons, and implicit in it a momentous amount of face – and won a few, paltry concessions on statutory regulation that can only be appreciated in their full complexity by a nit-picking lawyer. Ed, jubilant, with parliamentary plaudits ringing in his ears, has got what he always claimed he wanted: a Royal Charter backed by statutory regulation. And Nick’s just happy to be on the winning side (whichever that is, exactly). But, resonant of the Cypriot banking crisis rumbling in the background, parliamentary accord in principle may be only the first, relatively easy, step in what promises to be an agonisingly long process. Amid universal self-congratulation within the first three estates, what has been forgotten is the most important issue of all: the assent of the fourth. An eerie silence has settled over the land as the press barons – the mighty Murdochs, Rothermeres and Barclays – weigh up their options. This is not the endgame they had in mind at all. The merest hint of statutory sacrament is abhorrent. And their objections to it are by no means groundless. Being men of the world, none expected to get away with a light slap on the wrist this time round (in other words, the moribund Press Complaints Commission being given a new set of falsies). What they have been served up, however, is enough to cause apoplexy. Granted, the new press council will be self-regulatory in a manner of speaking: for instance, editors will still play a principal role in drawing up their own code of conduct. But the fact that this code is to be enshrined in law (however statute-lite) means – horror of horrors – the Street of Shame will for the very first time have to abide by it. And there is worse. Newspapers are being expected to pay for this new regulatory body with their own hard-earned (and declining) advertising and circulation revenues. Yet they will be able to exercise no veto over those sitting in judgement upon them. Now what is the point of self-regulation if you can’t game the system? All sorts of humiliations beckon. For a start, there will be front-page retractions of a size and proportion equivalent to the original trumped-up story; in other words, no more “See page 94, bottom para, far right”. And then, if the press recuses? “Arbitrary” fines whose eye-watering size might actually get noticed by shareholders, and hit the owners where it really hurts – in the bank account. Luckily, there are a few time-honoured principles that can be trundled out to muddy the waters, promote dissension and avert the awful day of reckoning. A very good one is our old friend Juvenal’s Quis custodiet custodes ipsos? – which might be loosely translated as: who will watch over the watchdog itself? A question that near two thousand years of repeated interrogation has failed to satisfactorily answer. Juvenal’s oblique point, as far as I can make out, was that the powerful invariably stuff organs of governance with officials who are like-minded, obligated, compromised or compliant – leading to all manner of corruption and tyranny. A fine contemporary example would be the PCC, the illustrious members of whose committee quite recently included Tina Weaver – former editor of the Sunday People – who is now helping police with their inquiries into phone-hacking. However much fog surrounds the future workings of the new press regulatory body, one thing is beacon-clear: the regulator will no longer be guided by the wisdom of serving newspaper editors with an axe to grind. But if not editors, then who? That is the question. Friends of politicians? The Good and the Wise from the upper house? Well-meaning but naive members of the judiciary, like Brian Hutton who was walked all over by the Blair government? Former senior civil servants who, like most lawyers, are instinctively inimicable to the whole concept of “unauthorised” leaks of information into the public domain? The publicly-wronged but narrowly-focused, like the McCanns, Dowlers, John Prescott and, er, Hugh Grant? Who, in short, can – hand on heart – present themselves as an uncompromised and objective judge in the court of press ethics? Without the compliance of the three aforementioned proprietors, whose newspapers account for the vast majority of national readership, these new Leveson-spawned regulations are going to go nowhere. Should they choose to prevaricate, Murdoch & Co will have ample opportunity to rail against disguised censorship. Real, or imagined. 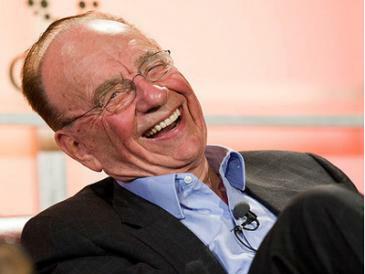 Considering the gloating opportunities, @rupertmurdoch has been abnormally restrained. Apart from a terse but prescient: “Saville (sic)- BBC story long way to run. BBC far the biggest, most powerful organization in UK,” nothing has been said on the subject since October 14th. Maybe the old boy has got bored with his favourite hobby, the British media. But I somehow doubt it. And his silence certainly can’t be attributed to not wanting to stick the knife in – as Hugh Grant, the “Scumbag Celebrity”, knows to his cost. No, @rupertmurdoch is surely waiting until the dish is sufficiently cold to make a mouthful of it. And what a mouthful. The BBC has rightly made much of the fact that Savilegate (all crises these days are “-gates”, aren’t they?) has a silver lining. No other news organisation, they say, would be capable of an equivalently rigorous self-examination in the wake of such an error. “Mea culpa” is not, after all, a term you hear very often at News International – or anywhere else, for that matter, unless the lawyers so decree. But the BBC being more transparent is no guarantee that its senior executives are any less mendacious, self-serving and slippery than those of other media owners. Today’s performance before the culture media and sport select committee by a nervous George Entwistle, now director-general, then director of vision (i.e. telly), left us in little doubt that Newsnight’s editor Peter Rippon is the one being lined up for the sacrificial knife. And it’s his blog what done it. True, Rippon’s version of the facts leaves much to be desired. There are a number of errors in the post which make it apparent that, even looked at in the most charitable light, Rippon’s grasp of the situation was woefully inadequate. The point about not withholding information from the police, for instance, is downright misleading (whether deliberately so or not). That’s certainly conduct unbecoming in the editor of a programme of Newsnight’s calibre. But all this proves very little, except that Rippon was desperate for some ex-post facto sticking plaster to justify a decision that he himself may have found incompatible with his professional ethics. The question is: how did he arrive at that decision? Hard evidence has yet to surface, but circumstantially there seem a number of things that just don’t add up. At one moment, Rippon is reported by the Newsnight editorial team to be upbeat about the Savile programme’s prospects; the next, he has decided to shelve it. Apparently, this happened very soon after he had informed the BBC’s head of news, Helen Boaden, of the programme’s content and intention. Boaden then told her boss, Entwistle. But, according to him, only in the most airy, abstract manner. With the result that this normally competent media professional entirely failed to recognise the Newsnight investigation might in, some way, undermine a lavish tribute programme shortly to be aired in Sir Jimmy’s honour – and make complete fools of the Corporation’s senior executives at the same time. That at least is what he is asking us to believe, since he clearly took no action to review the tribute programme. Rippon, of course, is denying that Boaden gave him any advice beyond telling him to act according to his own lights. Whether that advice included a knowing wink and a nod, alluding to his future on the BBC career ladder, we shall probably never know. Boaden’s words are unrecorded, and she shows no sign of wishing to enlighten us further. That said, maybe we should keep this affair in perspective. BBC executives may be dealing in half-truths and obfuscation, but they can hardly be accused of breaking the law. Unlike Trinity Mirror, publisher of the Daily Mirror, Sunday Mirror and The People, which is now facing civil actions over phone-hacking from former England manager Sven-Goran Eriksson and a number of other minor celebrities. Trinity Mirror’s senior management is, as it has routinely done since questions started to be voiced about Piers Morgan’s tenure as editor of The Mirror, denying any wrongdoing. But shareholders obviously don’t believe them. At one point, TMG shares dipped 12.5% today. Civil actions were the slow-burning fuse that eventually lit the powder-keg at News International. As I say, the old boy is going to have a right old feast, once he gets round to serving it. I wonder what we should call it? Googlegate? Datagate, perhaps? Google’s inept handling of rogue data captured in the course of its Street View surveys is giving the search giant an unsavoury corporate reputation. It’s hard not to detect parallels here, albeit on a minor scale, with the Murdoch scandal. And these parallels are? Out-of-control employees apparently breaking the law in pursuit of a private agenda; the abuse of private data; a corporate cover-up involving middle to upper reaches of company management; weak and complaisant regulators who have been forced to reexamine the inadequacy of their earlier rulings. The UK spotlight has been turned back on Google only because of some disturbing findings uncovered by a Federal Communications Commission inquiry into material gathered by Street View cars – which have specially adapted cameras – in the US. Earlier, the UK regulator – The Information Commissioner’s Office – had dropped a probe into the affair after receiving assurances that Google had collected the data – which includes emails, email headings, visits to pornographic sites and personal medical information – purely by accident. Not so, it now transpires thanks to the US investigation. A Google software engineer – we’ll call him Engineer Doe, because that’s what the FCC calls him – deliberately built a program capable of capturing all this stuff and then put it into operation between 2008 and 2010. Engineer Doe, it seems, “intended to collect, store and review payload data [as it is known] for possible use in other Google projects.” I wonder what these could have been? iSpy or Gotcha perhaps. Engineer Doe told two other engineers working on the project what he was up to, one of whom was a senior manager. But the senior echelons at Google deny all complicity. Having reopened its inquiry, the ICO now wants to know what type of data was captured; when exactly Google managers became aware of the rogue capture; and why Google had previously failed to disclose to the ICO the exact nature of the gathered data. Extraordinarily, Engineer Doe and his two colleagues still appear to be in the employ of the company. Although, presumably, they are deployed on alternative projects. The Rabelesian guffawing in The Mirror’s newsroom when Trinity Mirror’s chief executive announced her unlamented departure is now reduced to a sullen whisper. Who will be next, the hacks timorously wonder as they survey the seismic damage caused by this morning’s fresh round of top-level sackings? Out, in short order, have gone Richard Wallace, editor of The Daily Mirror, and Tina Weaver, veteran editor of The Sunday Mirror. In has come Lloyd Embley (who? 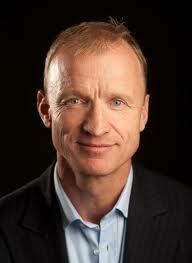 – formerly editor of the People) as the new editorial supremo of a “merged” 7-day-a-week Mirror newspaper. Isn’t it, Lloyd? Difficult to see what else it might be. Certainly not a strategic decision, made from strength. Nor, to use some ghastly marketing jargon, is it “proactive”. Indeed, as so often in the world of newspapers, Rupert Murdoch continues to take the credit, having got there first with the 7-day Sun – while Trinity hobbles behind, a lame second. If the two editors were stunned by the manner of their summary dismissal this morning, they can hardly be surprised by its ultimate cause. All the circulation gains accruing to The Sunday Mirror after Murdoch unexpectedly closed the News of the World were wiped out almost overnight by his introduction of The Sun on Sunday. If this brutal step-change really is, in the words of the Trinity statement, “a further step towards creating one of the most technologically advanced and operationally efficient newsrooms in Europe,” why on earth didn’t senior management have the courage of their convictions and implement it before? Because, let’s face it, it isn’t really a step-change at all. And because, where newsrooms and newspapers are concerned, there are more important things than being “technologically advanced” and “operationally efficient”. Like keeping your journalists on side. Which is difficult when you are savagely cutting their numbers to achieve shareholder “value”. What seems to have occurred here is some highly expedient corporate chicanery. How can it be that Sly Bailey, the lame duck outgoing chief executive, has been allowed to make these changes, changes she would never have dared to make before she resigned? Simple. The new board, and particularly the new chairman David Grigson, needs someone to hide behind, someone who is now totally expendable. This may not have been Grigson’s only calculus, however. The suspicion is Trinity used this occasion to cleanse its Augean Stables. We’re still waiting to hear the full unexpurgated version of former Mirror editor Piers Morgan’s flirtatious relationship with the truth about phone-hacking, but last week moved a little closer to full disclosure with Jeremy Paxman’s testimony to the Leveson Inquiry. Wallace and Weaver were both later contemporaries of Morgan, who stepped down from the Mirror in 2004. Like two Wise Monkeys, they have joined Morgan in a deaf-and-dumb denial of complicity in phone-hacking culture. Which – who knows? – may be entirely justified. But just in case, why not get rid of them at this opportune moment? They are, in any case, very expensive; and they were, no doubt, utterly opposed to the concept of sacrificing one of their editorships on the altar of a 7-day newspaper. And yet the real casualty here is the brand. Sunday newspapers, and not just red-top Sundays, are looking like an endangered species. Who will be next to join the 7-day bandwagon? The Independent/Independent on Sunday? The Guardian/Observer? Sunday newspapers are being eroded not simply by shrink-fit publishing economics but by changing reading habits. After all, who these days seeks the wow-factor of a good old-fashioned scoop over their Sunday bacon and eggs? The time has come to fess up to my role in Horsegate. I have ridden a horse since 2010, and more than several times too. It would be a surprise if I hadn’t, you see, because I own one. Did I mention my connection with the Metropolitan Police? Another lapse on my part. It’s all my farrier’s fault really. Until recently, he worked full time for the Met, and he used to shoe Raisa, the police horse that has caused poor Mr Cameron so much trouble with his increasingly defective memory. A bit of a beast, apparently. No end of trouble to shoe, ever since that unfortunate stint with the Riot Squad which made her virtually unrideable. You couldn’t even clench a shoe-iron without the mare rearing uncontrollably. No, let’s get a grip. I made that last bit up. Just like Mr Cameron’s advisers – starting with the late, unlamented Andy Coulson – who have constructed a tissue of half-truths and lies around Dave’s not-very-secret interest in horses, the company he kept with race-horse trainer Charlie Brooks and with Brooks’, er, dear wife, the ever lovely Rebekah. Oh! What a tangled web we weave, When first we practise to deceive! And for what purpose? Ex-plod horse Raisa, now sadly deceased, is of course Cameron’s worst political nightmare incarnate. What could more emblematically sum up Flame-haired Medusa, News International, Andy Coulson, phone-hacking, Rupert Murdoch, police corruption, political favouritism and poor personal judgement in just one word? Yet, in a way, that’s not the worst of it. Never mind that Charlie Brooks took the near-useless nag on at personal cost and out of compassion, to save her from the knacker’s yard. 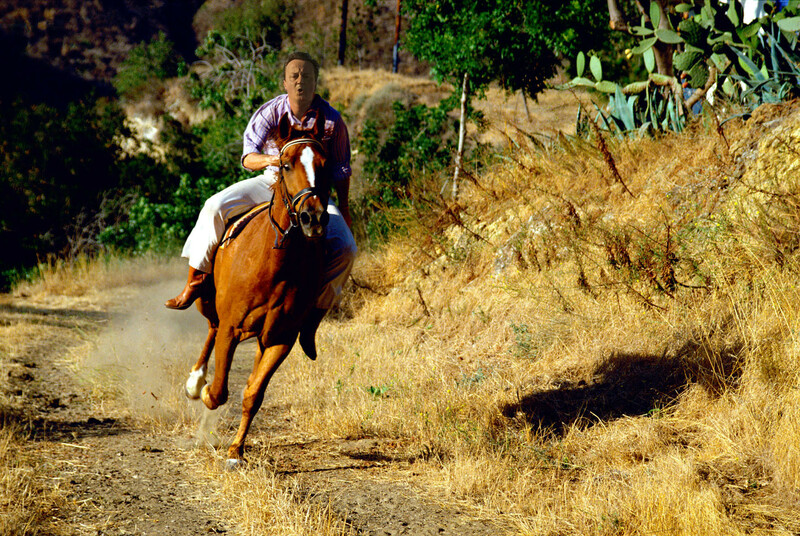 To the uninitiated – that is, to most of Cameron’s voters, urban-dwellers who may never have encountered a real horse in their lives – it looks like yet more upper-class horse-trading. Never mind that most horse-owners (in my experience at any rate) appear to live in an economic twilight zone where they can barely afford to keep themselves, let alone what’s in the yard – the horse in this country is an inescapable symbol of poshness and privilege. And poshness and privilege being unforgivable electoral sins, Dave and his Lord Snooty chum George Osborne have, not without cause, a deep psephological neurosis about them. Remember that undertaking Cameron made to hold a free vote on fox-hunting in this parliament? No, he can’t either. Another lamentable example of his fading memory. Will the last unindicted Sun journalist please turn out the lights? A News International spokesman tells us Sun editor Dominic Mohan is “not resigning” in the wake of 5 more high-profile arrests of his senior colleagues. Well, thank goodness for that. Someone has to be there to switch off the lights, and there now seem precious few editorial staff of any standing who aren’t on bail, or facing the threat of arrest. The climate of fear at The Sun is, it would seem, being deliberately intensified by the police, in the hope of breaking NI’s culture of omerta and persuading more witnesses to squeal on each other. What other interpretation can be placed on police commander Sue Akers’ decision to organise the two waves of arrests, a week apart, as high-drama “dawn raids”, timed to coincide with Sunday newspaper interest? Whatever these men may or may not have done, they are not gun-runners, drug-traffickers or international terrorists. So why the heavy-handed police choreography, if not to a) impress the public that the police are at last getting tough on corruption and to b) create maximum distress among the people at NI? As the web of alleged corruption spreads to more police officers, the army and the ministry of defence, it has emerged that Rupert Murdoch will be making a special pilgrimage to The Sun offices to personally reassure its staff he will not be doing unto them what he earlier did to their colleagues at the News of the World. Maybe not, for now. But one thing I suspect we won’t be hearing much of from here on is Son of NoW, the Sun on Sunday. The Sun is a broken brand. The latest wave of arrests will also put pressure on other parts of The Sun’s ultimate owner, News Corp. It could turn the screw on a Federal investigation into alleged racketeering. And, nearer home, it will surely rekindle calls for an investigation into News Corp being a fit and proper holder of a TV licence. Should BSkyB’s share price be seriously depressed as a result, you can be sure that – for all their stalwart support of James Murdoch up to now – the board will have no compunction in firing him as chairman. UPDATE 18/2/12: First, some humble pie. “One thing we won’t be hearing much of from here on is the Son of NoW, the Sun on Sunday”. Er, no. 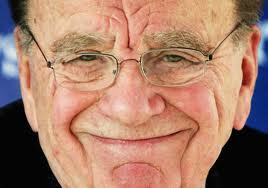 Rupert Murdoch has just given his personal assurance that the launch will go ahead “very soon”. Industry experts believe this means some time in April, possibly the 29th. However, what may play well with demoralised Sun staffers is not guaranteed to be a publishing success. Particularly if more distracting scandal damages the Sun brand in the meantime. And who, given the unbridled brief of the MSC to cleanse the Augean Stables at News International, can say it will not? As it happens, Murdoch seems to have lost his sureness of touch in the realm of newspaper launches. His foray into the London freesheet market, with thelondonpaper, certainly did financial damage to Associated Newspapers, owner of London Lite and (at that time) the paid-for Evening Standard. But News International lost heavily on the project and eventually had to close it down. The SoS will be launching into a rapidly declining market. Ad revenue was down over 17% last year (end of January) and – even stripping out the now-folded News of the World – the underlying slide was 11%. Readers are deserting too. And their contribution, in the form of circulation revenue, is even more vital to mass-market tabloids than advertising. The only way in, it would seem, is a price-war. That may well damage the SoS’ prime adversary, the Sunday Mirror. But whether it will create a financially viable Sun on Sunday is a moot point. How do these female Telegraph journalists do it? Trap you into saying things you didn’t really mean to say, that is? Not many months ago, Mr Cable was silly enough to tell two such hackettes that Mr Murdoch’s empire was thoroughly evil and that he was going to put a stop to it, just when he was supposed to be impartially adjudicating the self-same Mr Murdoch’s bid for BSkyB. Now you, too, have been very silly. Or, to be more precise, you have been caught rubbishing Everything Everywhere, the brand name of the company where you are chief executive. Now I know what you’re going to say; in fact what you have said: just like poor old Vince, you were quoted out of context. His context was entrapment; yours we’re going to work on a bit – just in case there’s any misunderstanding. The first thing I’d like to make clear is that we are all right behind you. Not only do we admire the candour of someone in so senior and responsible a position voicing what we have all long since judged to be a self-evident truth (just, as it happens, we did with Mr Cable). We are also quite prepared to accept that journalists, with their obsession for compression, tend to miss the bigger picture. I expect, when you were describing your corporate brand as “silly”, what you were really doing was employing a bit of time-honoured rhetorical licence: using the part as shorthand for the whole. It’s not Everything Everywhere the brand that is “silly” with “a stopping effect”, but the brand strategy behind it. That, surely, is the bigger picture that got left out of the context. Right from the beginning, that brand strategy has been misconceived, hasn’t it? I mean, the initial idea was all right as far as it went: putting together 2 failing UK mobile telecoms brands in one brand-new holding company and, overnight, transforming yourself into UK leader by customers, ahead of those snake-oil people at O2. What a clever sleight of hand, and one that avoided Orange and T-Mobile experiencing serious difficulty with the competition authorities into the bargain. The trouble is, your predecessor Tom Alexander wasn’t empowered by his twin masters, France Télécom and Deutsche Telekom, to take the idea any further – and you were left to clear up the mess that resulted. 50:50 ventures never work, do they? Still, you’ve done what you can, within the agreed terms. You’ve swept away all those unnecessary backroom boys and girls, stripped out excess infrastructure, rationalised the shops, brushed up the margins, cleansed the boardroom of useless, nay-saying, former T-Mobile executives and ploughed on with a leaner, meaner Orange team. Yes, Sirree, having worked at HP before you joined France Télécom, you know just about everything there is to know about consolidating tired, low-growth companies. But the justification for that difference is becoming less and less apparent, isn’t it? Look at your latest, Q3, figures: pre-paid, plummeting; contracts up. T-Mobile’s days as a UK brand are surely numbered. Truth to tell, Orange is and always has been much the stronger brand; better serviced too. Maybe, if there hadn’t been all that fudging at the beginning by your corporate masters, then the figures would have been a lot more convincing than they are today. And your brand hierarchy a lot more coherent. Without T-Mobile to worry about, poor old Tom would never have had a nervous breakdown trying to justify the vacuous sticking-plaster of Everything Everywhere – as the best of all branding in the best of possible worlds, when it patently wasn’t. No wonder you let slip your frustration with a “silly”, unguarded remark.